By abbeville_librarian in News, Services on March 13, 2016 . If you have never touched a computer, and if you are afraid of destroying civilization with a mistakenly pressed key, then you have to start with the very basics. 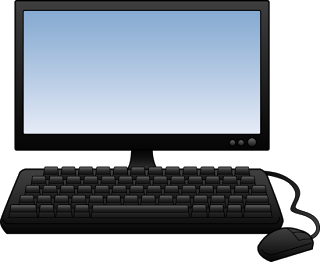 In the upcoming months Abbeville Memorial Library will be holding basic computer classes. These classes will be limited to a maximum of 8 people, and will be approximately 1 hour long. We will start with the very basic computer training… From how to turn the computer on (for those of you who have never used a computer before), to learning to use the mouse,setting up an email account, using the internet etc. The popularity and attendance numbers will determine how long the classes will continue. If you are interested in participating in the class we will have signup sheets at the front desk at the library. So come by the library and while you are here, you might even check out a book?